New show hit/miss is back again for the fall 2017 shows on broadcast. Like last season, this feature will analyze what may cause a show to succeed or fail. This fall the feature looks a little bit different, as instead of each article talking about one show, each article will talk about all of the new shows on a network of a genre (comedy or drama). This first article takes on the four new dramas coming to ABC this fall: The Good Doctor, Inhumans, Ten Days in the Valley, and Kevin (Probably) Saves the World. Medical drama The Good Doctor airs Mondays at 10:00 after Dancing with the Stars and premieres on September 25th. Marvel drama Inhumans will have a two-hour premiere on Friday, September 29th at 8:00 of the two episodes that will be shown in theaters in IMAX, and then regularly airs on Friday nights at 9:00 following Once Upon a Time. Mystery thriller Ten Days in the Valley airs Sundays at 10:00 after Shark Tank and premieres on October 1st. Fantasy comedy-drama Kevin (Probably) Saves the World airs Tuesdays at 10:00 following new comedy The Mayor and premieres on October 3rd. What May Cause The Good Doctor to be a Hit? ABC found success for years in this timeslot with police procedural Castle. While not a police show, The Good Doctor will still have a case of the week, making it easy for casual viewers to tune in. A procedural in this timeslot is, as Conviction showed us, not a guarantee that it will work. However, the reason that Conviction failed may have been tone. Unlike the light Castle, Conviction was cynical. The Good Doctor isn't identical to either in tone, but to me its uplifting tone feels more like Castle's tone than Conviction's. The Good Doctor is most reminiscent of fellow medical drama House, which makes sense since the creator of House (David Shore) co-developed The Good Doctor. House was a successful series during its eight-year run on FOX, and while The Good Doctor is similar to it, it isn't a copy, as The Good Doctor focuses on an autistic surgeon. Another sign of The Good Doctor's potential success is how widely viewed and liked its trailer is, and how popular it is on social media. At the time of writing this article, The Good Doctor has a gigantic lead on Inhumans and Ten Days in trailer views (ABC's official YouTube account doesn't have the Kevin trailer posted any longer) with its 3.743 million views being nearly 14 times what Inhumans has and over 200 times what Ten Days has. Additionally, it has the best like-to-dislike ratio out of the three, with 99% of the reactions to its trailer being like, compared to 70% (Inhumans) and 98% (Ten Days). On social media, The Good Doctor ranks in 1st out of the four new dramas on Facebook (284K likes) and 2nd on Twitter (3,363 followers). The Good Doctor has over 3 times the number of Facebook likes as 2nd place (Inhumans) and over 100 times last place (Ten Days). While not in the lead on Twitter, The Good Doctor still has over 7 times what Ten Days has and over 9 times what Kevin has. What May Cause The Good Doctor to be a Miss for ABC? While the Mondays at 10:00 timeslot was friendly to Castle for a while, it's possible that it won't be as friendly to The Good Doctor. Three procedurals will be battling it out in that timeslot this fall, one of which is established (CBS's Scorpion) and one of which gets a large lead-in (NBC's The Brave, airing out of The Voice). Those two shows could eat up enough of The Good Doctor's potential audience to leave it low-rated. In addition, people may not be interested in another medical show. We already have Grey's Anatomy, ABC's highest-rated drama, and Chicago Med, which was helped to success by being part of the Chicago franchise. Other recent medical drama attempts haven't worked, with Code Black being dragged along and shows like Pure Genius and Heartbeat flopping. What May Cause Inhumans to be a Hit? The Marvel association and potential buzz with the IMAX release are the biggest things that Inhumans has going for it. Agents of SHIELD had a huge premiere back in 2013, and, being Marvel, Inhumans could do this as well. Plus, with the first two episodes being released in theaters, buzz can be created for the show right in time for its premiere. Also, Inhumans is much different from its broadcast competition. It will be facing procedural Hawaii Five-0 on CBS and newsmagazine Dateline on NBC. Its lower-rated competition is The Exorcist, which seems like the only show that might have significant crossover audience with Inhumans, and dramedy Jane the Virgin. Most of the show's potential audience likely isn't watching TV on Fridays at 9:00 yet, so Inhumans may be able to get them to. While no The Good Doctor on YouTube or Facebook, Inhumans is still more popular than Ten Days and Kevin. At the time of writing this article, Inhumans has about 270K trailer views on YouTube, 19 times what Ten Days has. On Facebook, Inhumans' 80K likes is much more than the 23K Kevin, while Ten Days has less than 3,000. Twitter is where Inhumans is performing the best, where its 71K followers is over 20 times how many The Good Doctor has. What May Cause Inhumans to be a Miss for ABC? If people don't like the show, it won't rate well, and so far the signs are not good. The response and the TCA was negative, and only 70% of those who reacted to the official trailer liked it. So far, it is not looking like a show that's going to get a positive response. So, despite all of the reasons why it may succeed, it may end up failing completely because of quality. In addition to this, Inhumans is not going to have the strongest lead-in. Once Upon a Time will lead into most of its episodes, and while the show still had decent ratings at the end of its sixth season, it is rebooting and moving to Friday nights. 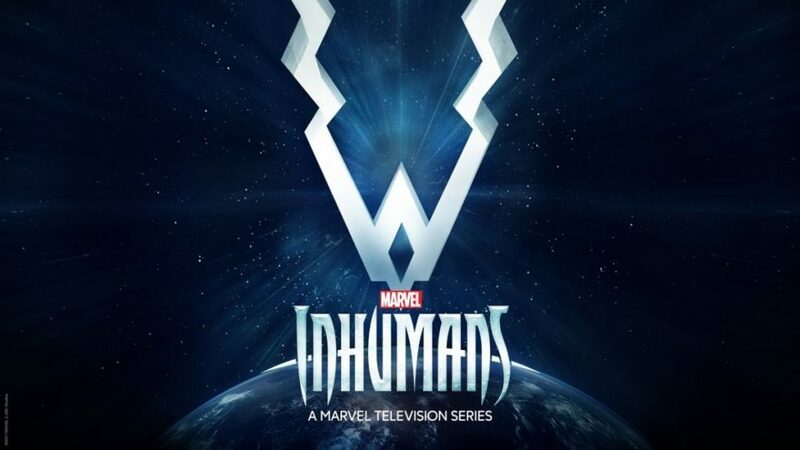 For its premiere, Inhumans will have to start at 8:00, leading out of local programming. What May Cause Ten Days in the Valley to be a Hit? While Sundays at 10:00 doesn't seem like the ideal place to launch a new show, it may be just right for Ten Days in the Valley. It will be facing competition from Sunday Night Football and Talking Dead, but football and The Walking Dead are both very male skewing, so Ten Days will primarily be battling it out with low-rated Madam Secretary for female viewers. Additionally, Ten Days seems likely to garner positive response, as 98% of those who reacted to the official trailer on YouTube liked it. So, if the premise, which could be appealing to parents, particularly mothers, is able to draw viewers in, the show seems likely to be able to sustain much of those viewers over its ten-week run. Also, the show does remind me of the first season of Secrets & Lies in some ways, such as that it is a mystery wherein the main character is a mystery, and both shows are limited series that aired on ABC Sundays. What May Cause Ten Days in the Valley to be a Miss for ABC? Ten Days in the Valley will have to lead out of decently rated Shark Tank, which is completely incompatible with the show and moving nights, in a timeslot that has historically been tricky for ABC (just ask American Crime, Betrayal, Red Widow, 666 Park Ave, GCB, and Pan Am). With that scheduling, it will have to rely on buzz. However, Ten Days seems to be completely lacking when it comes to buzz. Its 14K trailer views are significantly less than what The Good Doctor and Inhumans have, and it has 2,638 likes on Facebook, a small fraction of the 23K likes that next-worst Kevin has (and less than 1% of what The Good Doctor has). While its Twitter numbers are a little less dreadful (it's beating Kevin! ), 454 followers is still very bad. What May Cause Kevin (Probably) Saves the World to be a Hit? The biggest thing that Kevin has going for it is that it's not so serious. ABC is doing way better with comedies than dramas, which is probably why they decided to develop some comedic dramas (they ended up picking up this and mid-season entry Deception). ABC has definitely been marketing the comedic side of this show, and it will be airing after the Tuesday night comedy block. ABC wants you to think of Kevin as an hourlong comedy, and that could work. In addition to fitting in to the tone of the night, Kevin is much different than its competition. It will face old-skewing procedural NCIS: New Orleans and dark crime drama Law & Order: True Crime. For viewers who don't want something so serious or don't care for police-related shows, Kevin becomes your go-to. What May Cause Kevin (Probably) Saves the World to be a Miss for ABC? While comedy has been successful for ABC, marketing this show as an hourlong comedy may not work so well since it is nothing like their comedy brand. ABC is known for heartfelt family comedies, so will a goofy fantasy comedy-drama really fit in as well as ABC hopes? Plus, its comedy lead-in is completely untested, and it is leading out of a show moving to a new night! So, we have no guarantee that the comedy block will support Kevin. Next up is the tricky topic of religion. My concern with Kevin all along is that it could alienate both religions individuals because they feel like their religion is being mocked, and nonreligious individuals because they feel like there is too much religion in their face with this show. With the direction the show seems to be heading, I am getting less concerned about the latter, but I am still very concerned about the former. If Kevin is perceived as a show that mocks religion, that alienates a significant portion of its potential audience. Ten Days isn't ABC's only new drama taking on a historically tricky timeslot for the network. Tuesdays and 10:00 have been just as problematic, if not more. Aside from Agents of SHIELD and Forever, both of which performed okay-ish in this timeslot (and one of which was already an established show), everything that ABC tried there since fall 2013 flopped hard (that would be all of Lucky 7, Killer Women, Mind Games, Wicked City, and Of Kings and Prophets, and even filler attempts with What Would You Do? and Beyond the Tank failed). Finally, social media stats for the show are unimpressive. It falls behind Inhumans and significantly behind The Good Doctor on Facebook. On Twitter, Kevin only has 356 followers, which puts it in last place out of the four new dramas coming to ABC this fall. The awareness for this show is very low. Unfortunately, there are no official trailer stats for the show because ABC took down the trailer, likely due to the name change from The Gospel of Kevin (which could cause some awareness problems as well) and the recasting of a major role. The thing I would be most willing to bet on here is that The Good Doctor will succeed. I find the argument in its favor much stronger than the argument against it. I am most pessimistic about Kevin (Probably) Saves the World, though I do think that in the future the right comedy-drama could work really well for ABC. The show that I came out of writing this article with a slightly different perspective on is Ten Days in the Valley. It could outright flop, but I could also see it premiering okay and having a Secrets & Lies (season one)-like trajectory. Mid-season, ABC has a handful of new dramas coming onto the scene (The Crossing, Deception, For the People, and a Grey's Anatomy spin-off), as well as the third season of Quantico and the fifth season of Agents of SHIELD (which is supposed to take over the Fridays at 9:00 timeslot). Ten Days and Inhumans are limited, but (as far as we know) The Good Doctor and Kevin are not, and with this many shows to schedule, ABC might not want to wait around to see how one of these shows perform all season if they get okay-ish ratings. What do you expect from The Good Doctor, Inhumans, Ten Days in the Valley, and Kevin (Probably) Saves the World? And what factors do you think will contribute most to making them a hit or a miss? Leave your thoughts in the comments!